Eric Styles* Simpson Grierson’s photoshopping misadventure may not be of the scale of Russell McVeagh’s sexual harassment disasters, but in media terms it scored the firm all the publicity it didn’t need. While any publicity is (by some accounts) good, for law firms seeking to paint the perfect picture of themselves the clumsy and – let’s face it, dumb – attempt to paint the perfect picture of the way it handles its staff in the tread-softly era of #Metoo was a backfire it hardly needed. The publicity went global very quickly (pictured below). Social media can win fans and generate business, but it’s not all sunshine and rainbows. Potential social media disaster lies at every turn and if your law firm is to succeed you need to avoid major problems like those met by Simpson Grierson. There are some lessons here for any firm seeking to avoid social media mistakes such as that achieved so successfully by Simpson Grierson. 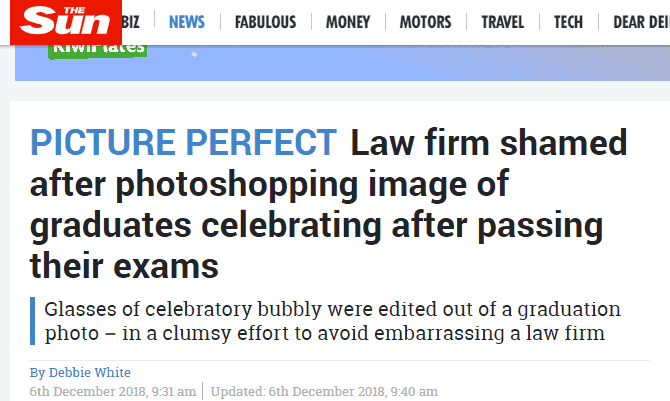 Altering your media – if there’s a mistake or some other issue with a social media post it’s better to delete and/or correct it with an explanation, but to actually digitally alter an image as Simpson Grierson did is begging for trouble. They got it. 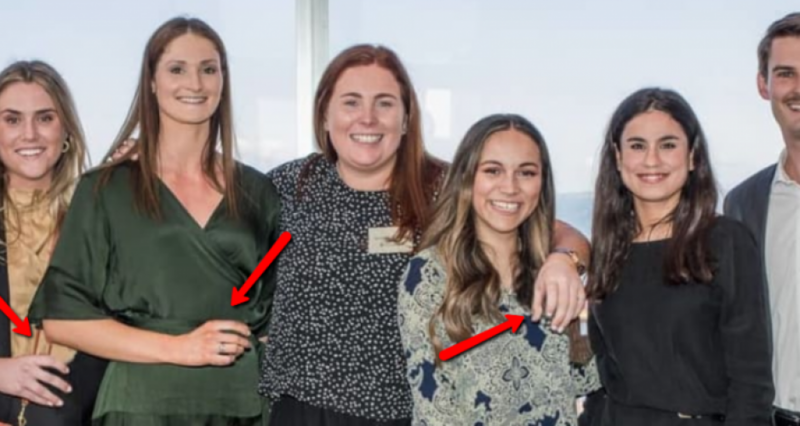 Having a poor social media team – many firms will use interns or junior lawyers to run their social media and while that may not be the case with Simpson Grierson, it’s still a mistake that many make with lack of judgment and naivete leading to social media embarrassment. Avoid ‘bad’ virality. Social media users love to “go viral”, but going viral is a two way street and can also be a one-way street coming to a dead end if you’re achieving high social engagement as a result of a blatant error or clumsy attempt to paint a distorted picture. Shifting blame. 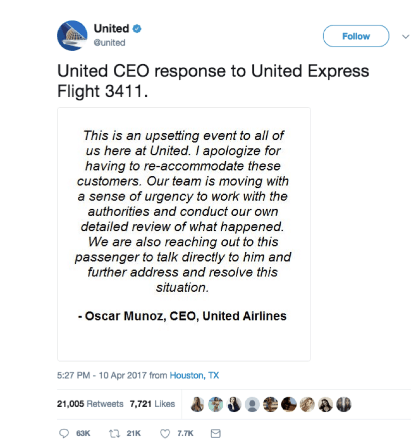 The Simpson Grierson issue was an over-weaning attempt to paint an appropriate picture of the firm and its approach to its staff, but doing so also created a shift in blame akin to the United Airlines incident when a passenger was dragged bloodied off of a plane, United dug a deeper hold by issuing a poor apology to social media. 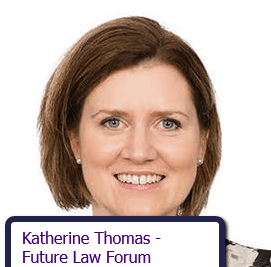 Finally, remember that the world has become a global, digital village where errors, misjudged comments and ham fisted attempts to paint a perfect picture of what might be an imperfect situation are liable to be quickly identified. The punishment for social media mistakes is publicity – such as that visited upon Simpson Grierson. The social media mistakes made in this case are something that were relatively easily made – albeit with some very clear intention – but equally could have been equally easily avoided. Take heed, law firms. *Eric Styles is a contributing writer to LawFuel and social media consultant.